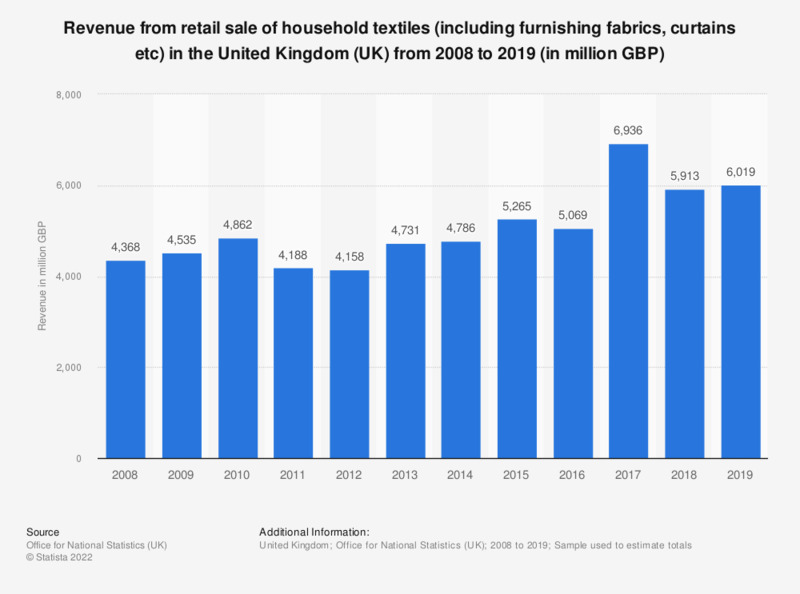 This statistic shows the total annual turnover of the retail sale of household textiles (including furnishing fabrics, curtains etc) in the United Kingdom from 2008 to 2016. After peaking in 2010, figures decreased over the following two years. In 2016, however, turnover reached an estimated 4.8 billion British pounds.